The strengthening of NATO's eastern flank to be discussed in Warsaw. NATO is expected to deploy 10 thousand troops in Poland next year, Polish Foreign Minister Witold Waszczykowski said in the sidelines of the NATO summit, the UP reported on 7 July. "If necessary, already in 2017 we will have 10,000 NATO military in our territory, mostly American soldiers. 5000 troops will be headquartered in Szczecin. In addition, a missile defence base will be deployed in Redzikowo in two years. 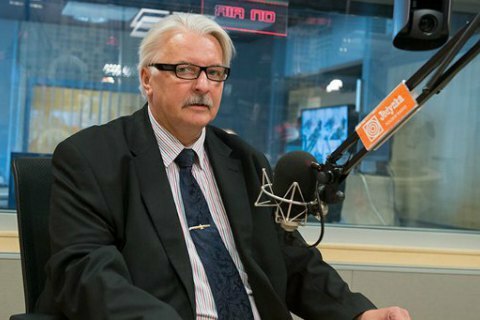 Those would be crucial changes in the security mechanism," Waszczykowski said. He recalled that the Warsaw summit will decided on strengthening of NATO's eastern flank. "This is a signal to our eastern partners, as strengthening flanks is also an invitation to a dialogue. Our activity is aimed primarily at our own defence. It will be absurd, if anyone forgets combat action against Georgia, Ukraine and Syria, as well as the provocations in the Baltic Sea... But we have to remember about these threats, and about the missiles in Kaliningrad," the Polish minister said. The deployment of multinational battalion of NATO in the Baltics and Poland is slated to take place in early 2017. The summit will also decide on strengthening the presence of NATO in the Black Sea region, including the deployment of a brigade in Romania.